To say our “BB” is spoiled may be the understatement of the century. Well, actually all the dogs in our world tend to be spoiled, but I think ours is at the top of the list. 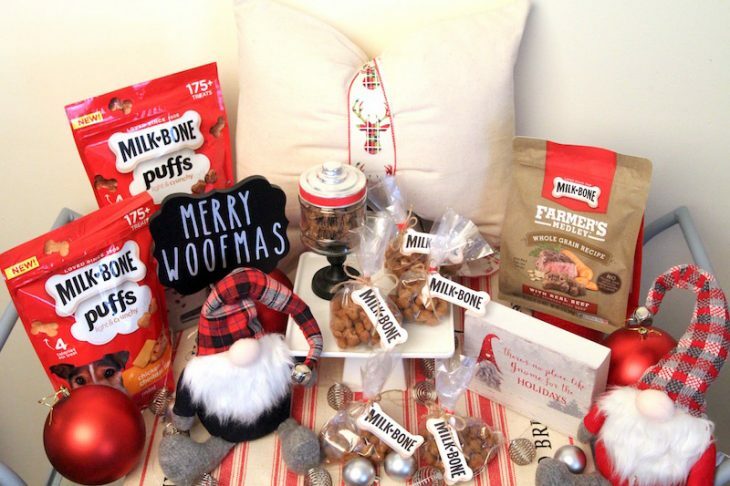 We even try to spoil the other dogs in our lives around the howlidays. Our daughter’s dog, my sister’s dog, and friends dogs get gifts and treats alike. No dog left behind! 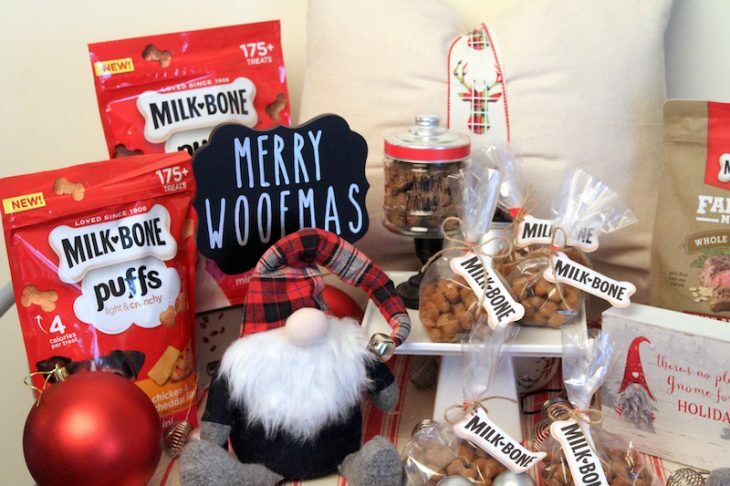 This year I created a fun Merry Woofmas display, complete with doggie gift bags, so when our friends and family’s dogs come to celebrate the holidays with us, they leave with a holiday gift as well. Plus the display is so adorable I don’t mind it being front and center in our entry area. 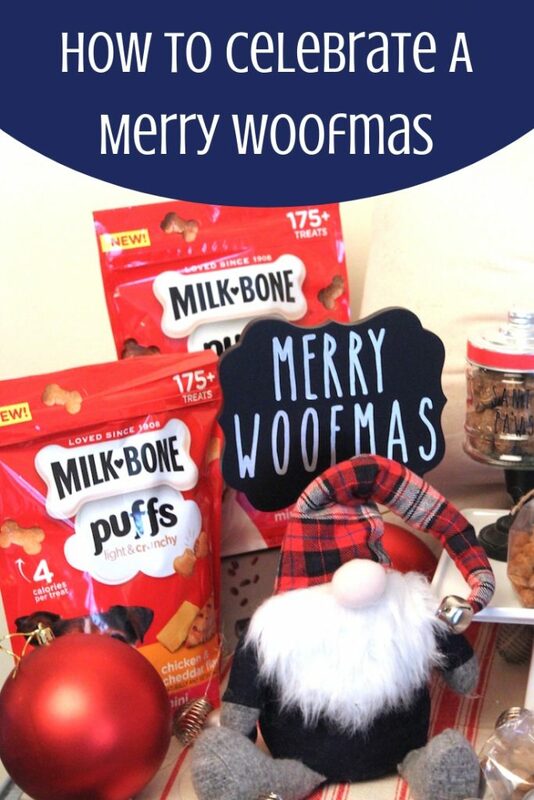 While shopping at Meijer, grab a few bags of Milk-Bone, Milo’s Kitchen, Pup-Peroni or Canine Carry Outs dog treats. If you buy 4 packages of these varieties, you’ll receive $3 off your next Meijer shopping trip. This offer is valid 11/25-12/29/18 (learn more here). You’ll also want to grab some thin twine (check the craft aisle) and some cookie sleeve packaging (usually in the holiday kitchen/baking aisle) while you are at the store! 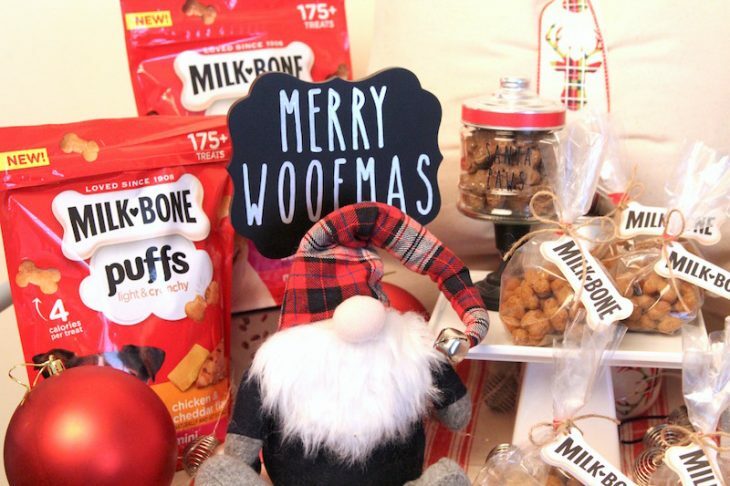 Grab your treats of choice, we picked Milk-Bone Farmer’s Medley and Milk-Bone Puffs. 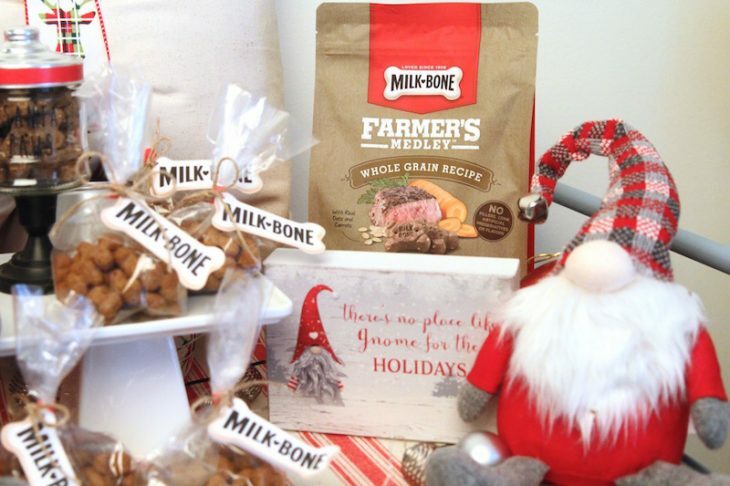 There are so many great options but I settled on Milk-Bone because it is a brand I trust and I love the red packaging. Pour some treats into a cookie sleeve package until it’s about a ¼ full. Using the twine, tie the bag shut and then add a fun little tag. 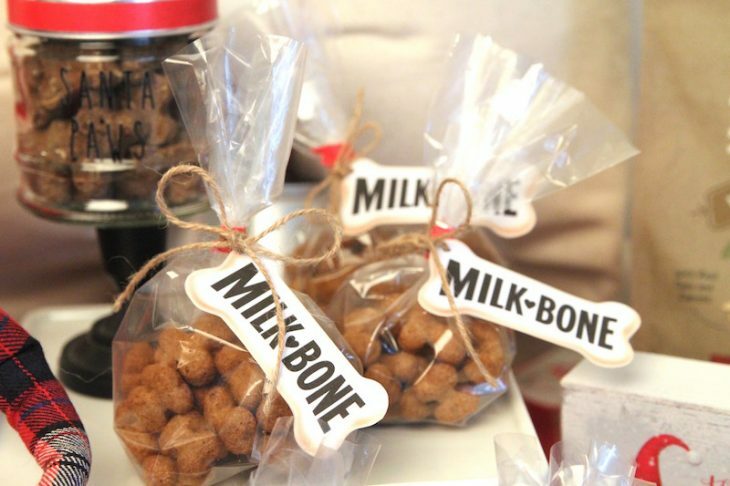 I made Milk-Bone tags on my handy dandy crafting machine. Once tied shut cut off the excesses packaging at the top. 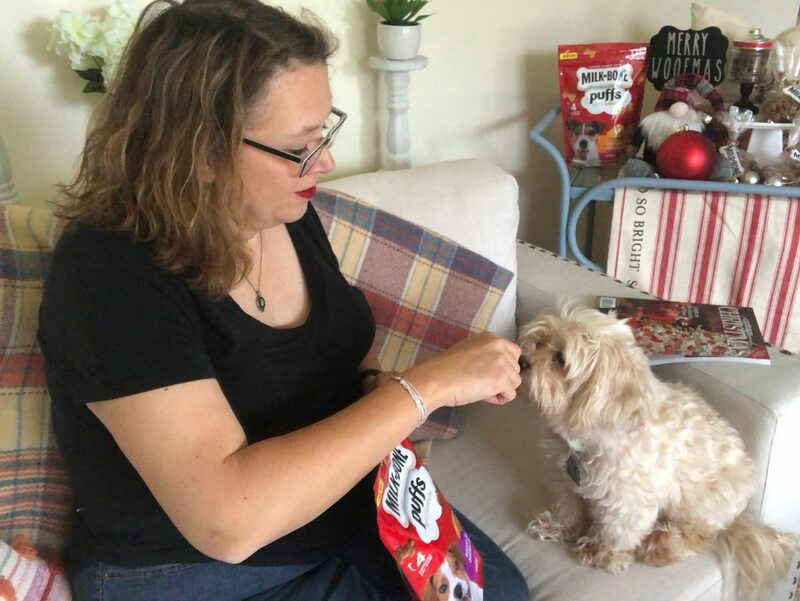 Milk-Bone dog treats are great for dogs of all sizes which makes it easy. Plus, Milk-Bone is a brand I trust. They have been making crunchy dog treats that make dogs happy since 1908. I figure with that many years of experience they know a thing or two about doggy treats. I also make sure there are treats on hand for the pups to enjoy while they are visiting. That way they don’t have to break into their take-home goodie bag. 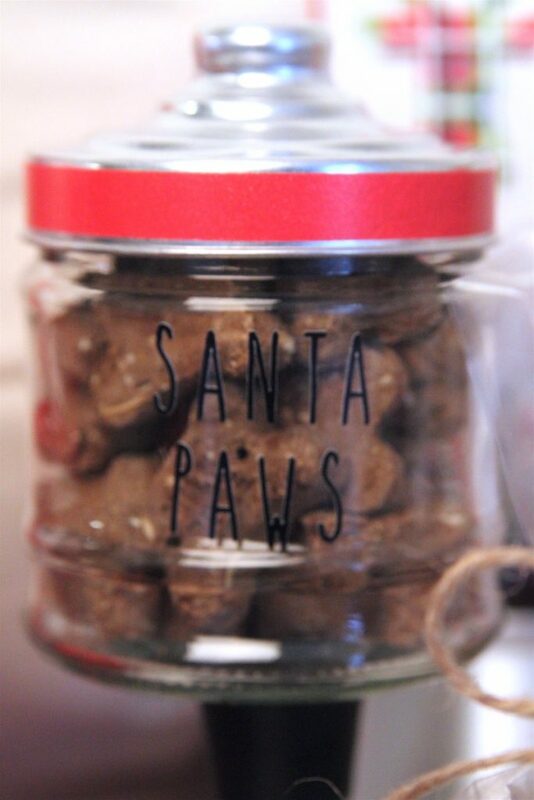 Small glass jars work great to store doggie treats. Of course, BB got to sneak in some extra treats while I was making doggie treat bags. BB really enjoyed the Milk-Bone Farmer’s Medley. I love that it’s made with veggies, but no fillers, corn, artificial flavors or preservatives. 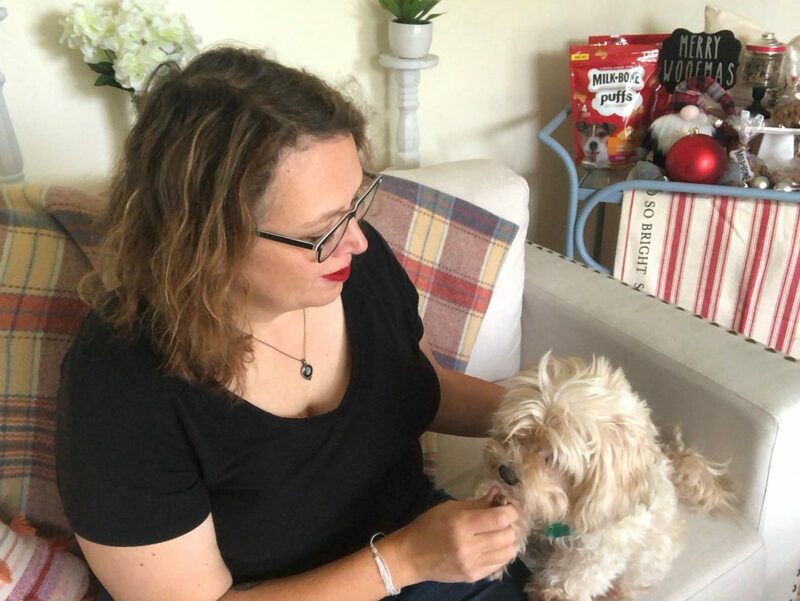 Plus, when I look at the ingredient list there are easy-to-recognize ingredients and it has meat from right here in the good ole U.S.A.
BB loved the Farmer’s Medley, and we ended up choosing Milk-Bone Puffs for our doggie treat bags. Some for BB, some for our dog friends! These airy little crunchy puffs of flavor had BB jumping for joy as we played outside so I thought our doggy friends would love them as well and so far they’ve been a success. It’s so easy to make sure our furry friends are involved in the holidays. Simple things, like doggie treat bags, make them and their humans feel more of that warm holiday spirit that we all love at this time of year.